FIFA World Cup – Russia 2018 Final! 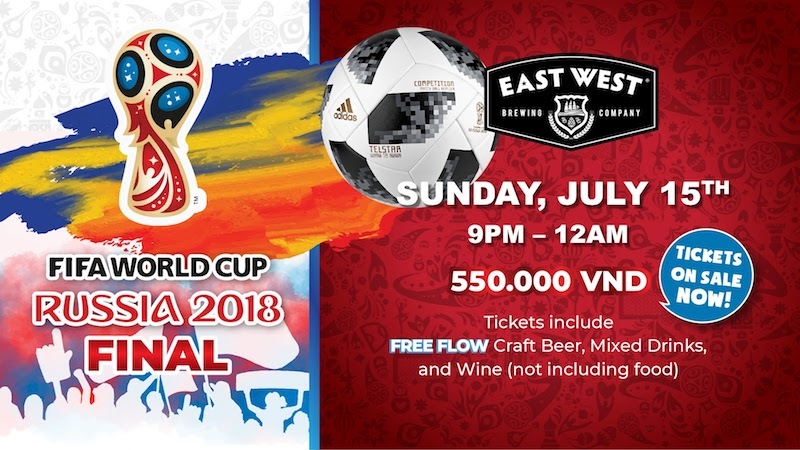 Sunday, July 15th at 9PM – 12AM at East West Brewing Co.
WHATS BREWING: Come join the highly anticipated match between the two finalists (TBD), on Sunday, July 15th at 9PM – 12AM on 3 giant screens at the brewery! 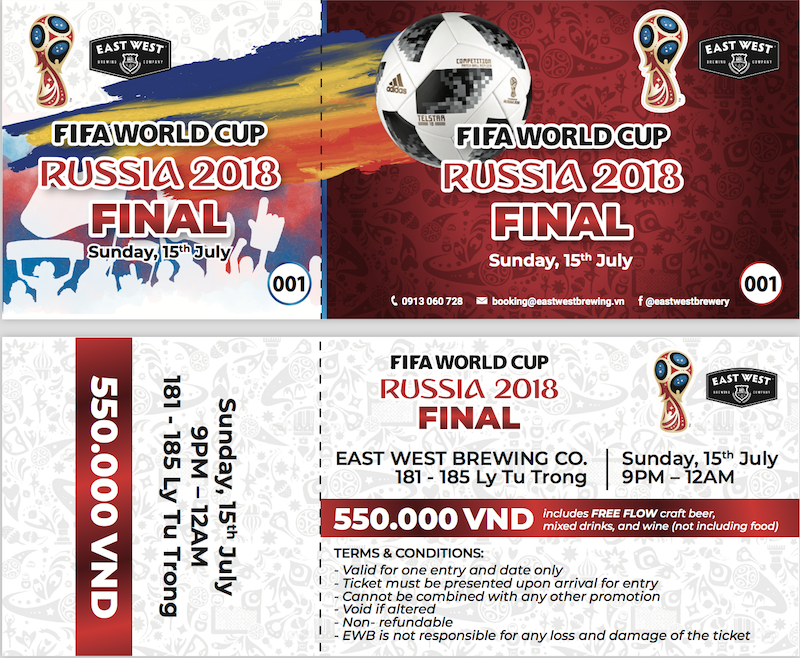 Tickets at 550.000 VND include a screening of the World Cup match, and #FREEFLOW craft beer, mixed drinks, and wine throughout the game! – From July 5th – 10th, receive a 10% DISCOUNT when you purchase a group of 4 or more tickets! *there is also food readily available for purchase (a la carte menu) which is not included in the ticket. *Pick up available at East West or via postal after received bank transfer.